A consumer who reported himself to an anti-piracy group to try to force a change in copyright law has finally received a response. 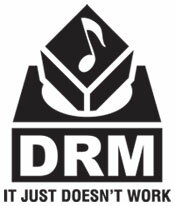 Denmark's Antipiratgruppen acknowledges that the man broke the law when he circumvented DRM, but have told him that since it was for personal use with no further distribution, there is no desire to sue him. Danish copyfighter Henrik Anderson has a dilemma. Although the laws in his country allow him to copy DVDs for his own personal use, they forbid him to remove the DRM in order to do so. Wanting to have this legal contradiction dealt with by his government, he confessed to anti-piracy group Antipiratgruppen that he had illegally broken the DRM on a hundred movies and TV shows. The full background to the case can be found here. After Antipiratgruppen missed the deadline to respond, Henrik announced a couple of days ago he would report himself to the police. But now the group has responded, in a way that is possibly as confusing as the original law, although in a way that also makes perfect sense. Their first paragraph notes that it is illegal to circumvent the “so-called effective technological measures” without the consent of rights holders – a reference to copy protection on a DVD. They also note that making a copy of the DVD in order to watch it on a media center (this issue Henrik is trying to draw attention to) is also illegal. That said, the main purpose of the rule is to ensure against abuse of films and music being illegally copied and distributed further. The Association of Danish Videodistributors certainly have no interest in suing consumers who like you have purchased legitimate products – quite the contrary. In a nutshell, Antipiratgruppen says that as long as people buy movies initially, they don’t mind them a taking digital copy for their own use, as long as there is no distribution to 3rd parties – despite both acts being equally illegal. Henrik says that since this section of copyright law has no effect in the real world, it should simply be abolished so that people know where they stand, since other people in the future might take a different stance. “Who is to say that if the anti-piracy group suddenly falls over a man with a 1000 films that they would not prosecute him, even though he has paid for his films? Once again: it is still illegal,” he told us. Although Antipiratgruppen have responded promising not to prosecute, Henrik told TorrentFreak that he’s not going to rest here. Next week, Henrik will try to contact the Culture Minister, who thus far hasn’t been interested in doing much, but at least at this point must realize that there is something very wrong with the law. The full response from Antipiratgruppen can be found here.